Contrary to popular belief, it is not required to use trademark and copyright symbols in your design or copy to guarantee or safeguard your legal rights. However, lots of artists and businesses still prefer to include these marks in print and external use. That said, there are many ways to display these symbols depending on the computer platform you are using. In addition to checking that you are using the symbol correctly, you will often have to fine-tune the symbols for the best visual appearance. 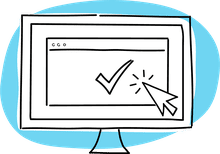 Not all computers are alike, therefore, the symbols, ™, ©, and ® may appear different in some browsers and some of these copyright symbols may not appear correctly depending on the fonts installed on your particular computer. Take a look at the various uses of each of the symbols and how to access them on Mac computers, Windows PCs and in HTML. A trademark identifies the brand owner of a particular product or service. The symbol, ™, represents the word trademark and means that the brand is an unregistered trademark by a recognizing body, such as the U.S. Patent and Trademark Office. A trademark can establish precedence for the use of a brand or service first on the market. However, to have better legal standing and the protections of the trademark being established, the trademark should be registered. Take a look at the various ways to create the ™ symbol. On a Mac computer, type Option + 2. On a Windows PC, using the numeric keypad on your keyboard, with Num Lock enabled, type Alt + 0153. Or, type Character Map in the Windows search box to get a pop-up menu of copyright and trademark symbols in any font. The correct presentation would be that the trademark symbol is superscripted. If you prefer to create your own trademark symbols, type the letters T and M then apply the superscript style in your software. The registered trademark symbol, ®, is a symbol that provides notice that the preceding word or symbol is a trademark or service mark that has been registered with a national trademark office. In the U.S., it is considered fraud and is against the law to use the registered trademark symbol for a mark that is not officially registered in any country. On a Mac computer, type Option + R.
On a Windows PC, using the numeric keypad on your keyboard, with Num Lock enabled, type Alt + 0174. Or, type Character Map in the Windows search box to get a pop-up menu of copyright and trademark symbols in any font. In programming for the web using HTML, ® = &#0174; (ampersand, pound sign, 0174, semi-colon — all with no spaces). The correct presentation of the mark would be the circled R registered trademark symbol, ®, displayed on the baseline or superscripted, which is raised slightly and reduced in size. Copyright is a legal right created by the law of a country that grants the creator of an original work exclusive rights for its use and distribution. This is usually only for a limited time. A major limitation on copyright is that copyright protects only the original expression of ideas and not the underlying ideas themselves. Copyright is a form of intellectual property, applicable to certain forms of creative work, such as books, poems, plays, songs, paintings, sculptures, photographs and computer programs, to name a few. Take a look at the various ways to create the © symbol. On a Mac computer, type Option + G.
On a Windows PC, using the numeric keypad on your keyboard, with Num Lock enabled, type Alt + 0169. Or, type Character Map in the Windows search box to get a pop-up menu of copyright and trademark symbols in any font. In programming for the web using HTML, © = &#0169; (ampersand, pound sign, 0169, semi-colon — all with no spaces). In some font sets, the copyright symbol may need to be reduced in size to keep from being oversized when appearing next to the adjacent text. If unable to see certain copyright symbols or if they display incorrectly, check your font. Some fonts may not have some of these copyright symbols mapped to the same position. For copyright symbols that appear superscripted, reduce their size to about 55–60% of your text size. The correct presentation of the mark would be the circled C copyright symbols, ©, displayed on the baseline, and not superscripted. To make your copyright symbol rest on the baseline, try matching the size to the x-height of the font. 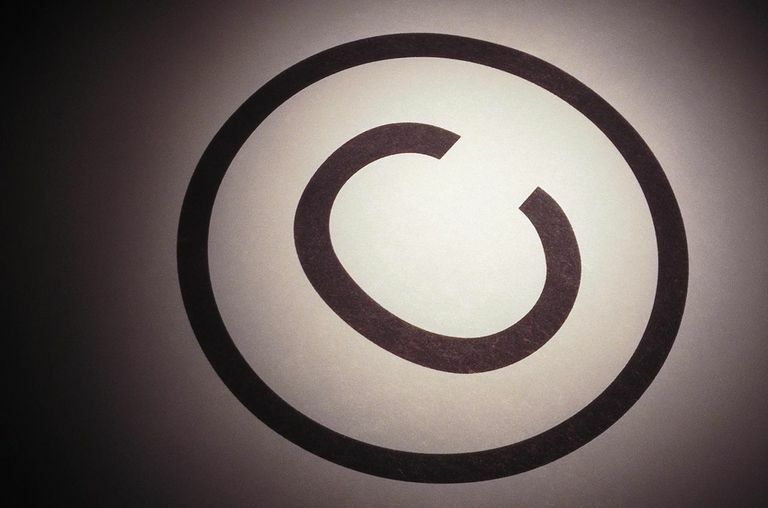 Although often used on the web and in print, the (c) symbol — c in parentheses — is not a legal substitute for the © copyright symbol. The circled P copyright symbol, ℗ , ​used primarily for sound recordings, is not standard in most fonts. It can be found in some specialty fonts or extended characters sets.